Also serving communities of Keizer, Independence. There are 12 Memory Care Facilities in the Salem area, with 11 in Salem and 1 nearby. The average cost of memory care in Salem is $4,874 per month. This is higher than the national median of $4,650. Cheaper nearby regions include Woodburn with an average starting cost of $3,450. To help you with your search, browse the 26 reviews below for memory care facilities in Salem. On average, consumers rate memory care in Salem 4.4 out of 5 stars. Better rated regions include Albany with an average rating of 4.5 out of 5 stars. Salem, Oregon, is home to nearly 170,000 residents, over 13 percent of whom are 65 years of age or older. Throughout Oregon, an estimate 65,000 seniors have dementia disorders such as Alzheimer's Disease and in a city like Salem, the need for memory care facilities that provide support and care to those who need it is considerable. There are 13 of these facilities, officially known as memory care communities, in the Salem area. 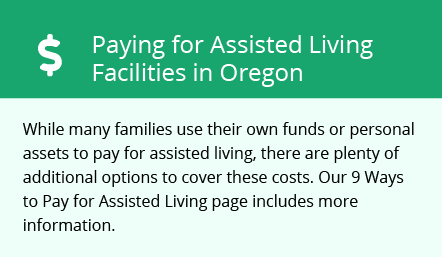 Memory care communities are strictly regulated by the Oregon Department of Human Services and regulations are similar to those in place for assisted living services, with which they often share facilities. Facilities that provide multiple levels of care are required by the state to have a segregated, secure area for memory care residents to reside. The Salem area is home to world-class medical facilities, including those that specialize in brain health and dementia care such as Salem Health, in the event of medical emergencies or illness. Some seniors living in Salem may find themselves with more available funds to pay for memory care thanks to the state's tax policies. Social security benefits are fully exempt from income tax, and there is no state sales tax in Oregon. Above-average crime rates in Salem may be cause for concern for seniors and their loved ones. A total of 40 property crimes and 3.29 violent crimes occur per 1,000 residents each year in Salem. Both of these rates are above state averages. Salem's annual rainfall is higher than the national average by three inches per year, and the city gets 51 fewer sunny days each year than the average U.S. city. This may be a major deterrent for seniors who enjoy spending time outdoors. Memory Care costs in Salem start around $4,874 per month on average, while the nationwide average cost of memory care is $4,800 per month. To see a list of free memory care resources in Salem, please visit our Assisted Living in Oregon page. Salem-area assisted living communities must adhere to the comprehensive set of state laws and regulations that all assisted living communities in Oregon are required to follow. Visit our Memory Care in Oregon page for more information about these laws.